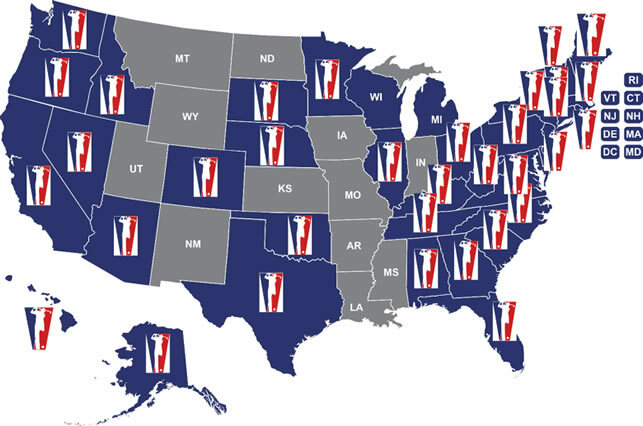 The SMGA is proud to have over 2000 members throughout the country. These incredible men and women embody our core values of respect, camaraderie, and passion. Our members served in all branches of the military. They air Soldiers, Airmen, Sailors, and Marines. Our members are men. Our members are women. Our members are Husbands. Wives. Fathers. Mothers. Brothers. Sisters. Our members come from all parts of the United States. As these men and women transition home, they will be able to bring back with them a love for the game of golf that they can share with their communities. Staff Sergeant Jack Schumacher was born in Champaign, Illinois and enlisted as an Infantryman in the United States Army in 2005. 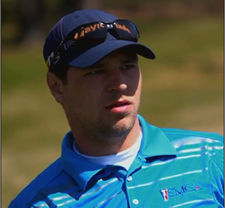 Golf became a powerful outlet for his rehabilitation while at Walter Reed Army Medical Center, and he completed his program at the Maryland clinics in the spring with his wife, Jill. His awards and decorations include the Bronze Star with Valor (x2) and the Purple Heart (x2). Jack was recently featured in the Annapolis Capital Gazette. Click here to read. Sgt. 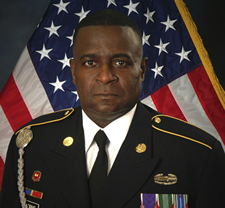 Osborne joined the Army in 1982 as an Infantryman. After Operation Iraqi Freedom began, he felt compelled to apply his training, and rejoined in 2005. While serving in Iraq with the 101st Airborne Div. in May of 2006 his vehicle was hit with an IED outside the city limits of Baghdad, and suffered multiple injuries to his C-spine, right shoulder, and right foot. He stayed at Walter Reed for four years, and endured 18 surgeries. During his recovery, a friend introduced him to Jim Estes and he began taking lessons. At first, he could only chip and putt, but soon progressed to full swing. He now plays 2-4 rounds of golf a week, and credits SMGA and the game of golf as helping him through his rehabilitation. 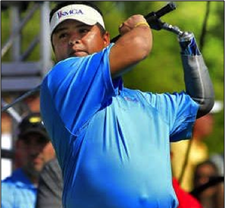 His story was featured in a Golf Digest article, click here to read. Ramon Padilla Jr. was born in Tijuana, Mexico, and grew up in the Los Angeles suburb of El Monte, Calif. On July 8, 2007, Padilla and members of the 173rd Airborne Brigade were into their 45th day of service in the Korengal Valley in Afghanistan, when an RPG blew up in front of him. Shrapnel from the RPG severed his lower left arm, and he was struck by a round on the front right side of his head that broke a piece of his skull. He did his full recovery at Walter Reed and was medically retired in September 2009. Ramon credits the game of golf as saving his life saying, “It’s a big part of my life and who I am now. It has helped me believe in myself and I became a better man…[and] once you achieve something, as simple as hitting a ball high into the air, you can feel you can do anything”. Army SSG Michael Downing was on his second deployment when he was injured by an IED explosion in Afghanistan. Like so many others, Mike found golf as a way to get out of the house. 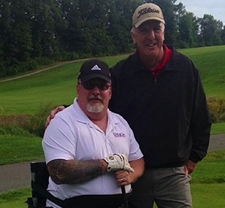 Mike credits the comradery he found amongst other veterans in the golf clinics helped with his recovery. “The military always look out for each other.” Mike says. Mike was recently featured by WBGH News in Boston. Click here to watch the video. For even more great stories of our SMGA veterans, please periodically visit like us on FaceBook.